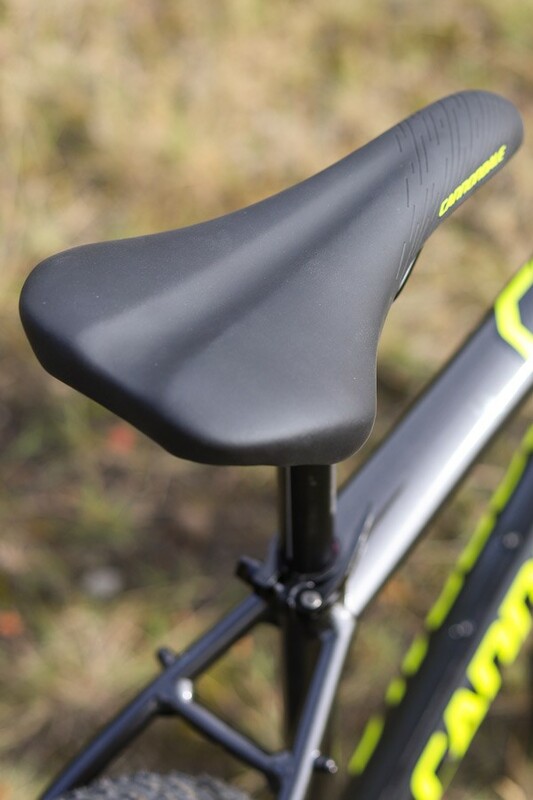 The 2019 Cannondale Cujo has the same SmartForm C2 alloy frame with updated components. The Cujo 1 and 3 have the same 120mm fork but the 2 now has a RockShox Judy Silver TK fork. All the bikes now get Shimano one-by drivetrains with a wide range rear cassette. The Cujo 3 has Deore 1x10 speed while the 1 and 2 get SLX or XT 1x11 speed. Each bike also gets a dropper post to help you make the most of every trail section. The wheels are different for 2019 too. Each bike now has the excellent WTB STX i35 rims with WTB Ranger Comp tyres. A hardtail mountain bike that is ready to ride more challenging terrain, whatever the trail has in store the Cannondale Cujo rips it up and asks for more. 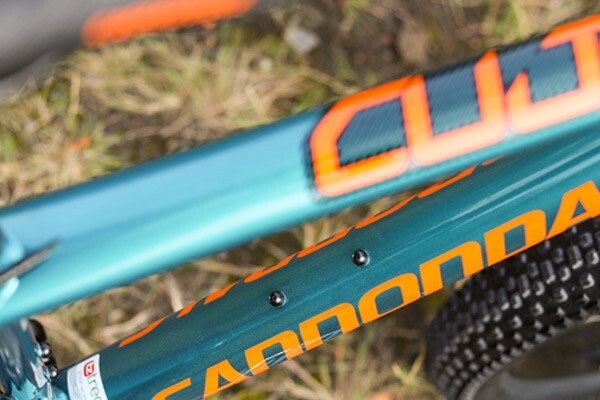 With plus sized tyres, trail-focused geometry and 120mm of front suspension travel, the Cujo soaks up more of the bumps on the trail so you will feel more confident on technical terrain than you would on a regular XC hardtail MTB. 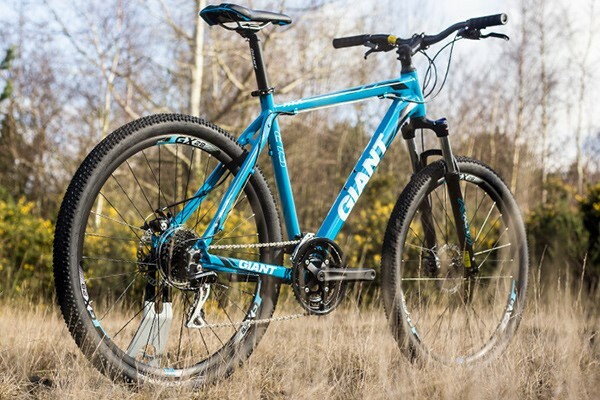 Alongside the dialled trail-focused geometry, it is the 3” wide, plus sized tyres that make the Cujo such a capable hardtail mountain bike on rougher trails. The high-volume tyres offer extra ‘float’ as the tyre conforms to the bumps on the trail rather than bouncing over them. Of course, the high-quality frame plays its part and is just what you would expect from Cannondale, a brand well known for its mastery of aluminium alloy. Cannondale are renowned for their high-quality frames and the Cujo is no different. Made from premium 6061 aluminium the C2 alloy frame features SmartFormed tubes that have been manipulated to extract every ounce of performance. Double-pass welds provide stronger joints that don’t require the need for internal reinforcement or external welded-on gussets. This keeps the weight low while maintaining strength and giving the frame a sleek look. SAVE rear stays offer inbuilt vertical compliance. This absorbs vibrations, while keeping the rear end stiff, for efficient power transfer. The tapered head tube offers improved front end stiffness for precise steering control, while BOOST hub spacing adds wheel stiffness as well as making room for the plus sized tyres. Cannondale are so confident in their alloy frames that they offer a lifetime guarantee. The Cujo’s trail focused geometry delivers a stable, confident feel that encourages you to let ‘er rip. The 120mm of suspension travel works with the plus sized rubber to offer confident control over the rough. 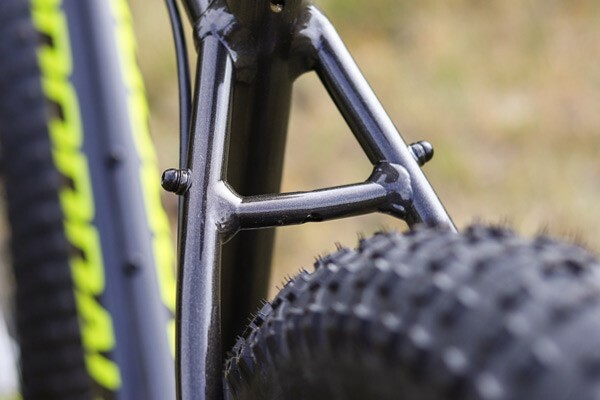 With 15mm thru-axles and BOOST hub spacing, combined with a tapered steerer, each fork on the Cannondale Cujo models offers impressive front-end stiffness for a sub £1,000 hardtail. 120mm of suspension travel is more than you will find on XC hardtail MTBs and is ideal for trail riding, where the fun is to be had on the descents. The RockShox Recon Silver fork, found on the Cannondale Cujo 1 and 2, features a Motion Control™ RL damper which delivers plush suspension control on rough terrain. 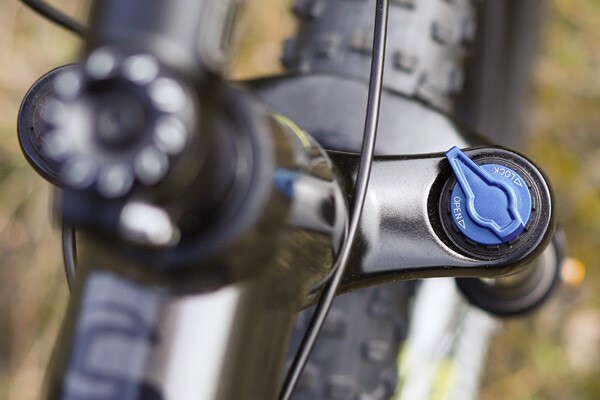 Rebound damping is adjustable, so you can set the fork up to work just as you need it too. A lockout feature allows you to firm the fork up for more efficient riding on smoother tracks. 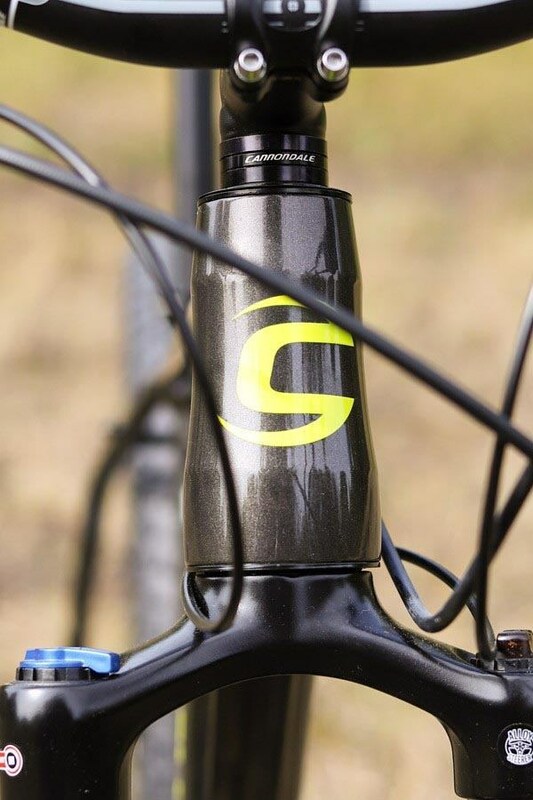 The SR Suntour XCR fork on the Cujo 3 also offers confident control with slightly less refined damping. The Hydraulic disc brakes on all models offer confident stopping power in all weather conditions. Each Cannondale Cujo model offers a wide range of gears that is suitable for riding the all the various gradients on trail centre loops. The Cujo 3 features a Shimano Altus 2x9 speed drivetrain that offers reliable shifting with a good spread of gears. 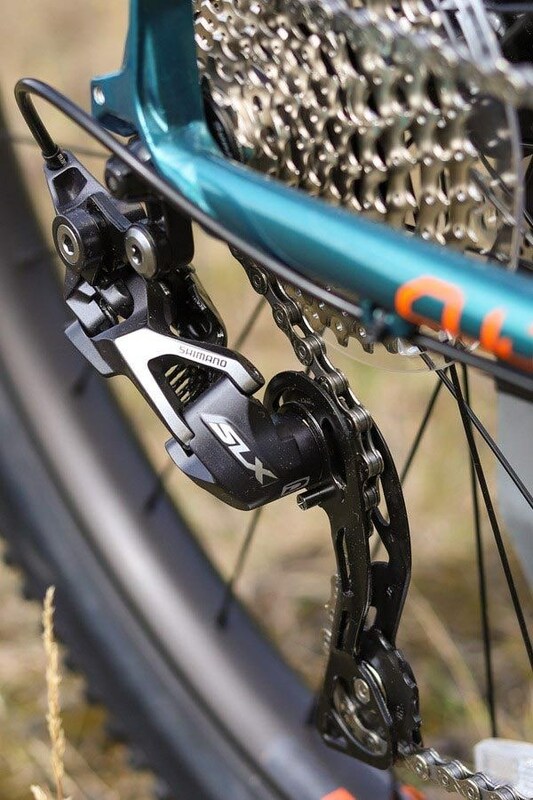 You get extra low gears with the Shimano SLX/Deore 2x10 speed on the Cujo 2 to help you up the very steepest climbs. The Cujo 1 features a thoroughly modern, trail drivetrain setup, with the SRAM NX 1x11 speed drivetrain and extra wide range cassette. With no front mech to worry about, this makes gear shifting much more intuitive and consigns dropped chains to the past. 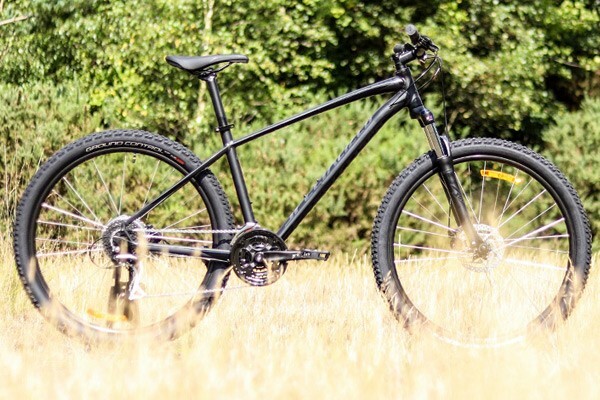 It is the extra wide ‘plus sized’ tyres on the 27.5” wheels that really sets the Cujo apart from most other hardtail mountain bikes. These 3” wide tyres have a much larger volume, which you can run at much lower tyre pressures, so the tyre conforms to the terrain offering more float which acts like extra suspension. The larger contact patch of the tyre also offers more grip, so you can shred the turns faster with more confidence. Cannondale Beast rims are featured on each model and their 40mm width offer great support for the wide WTB Bridger, WTB Ranger or Kenda tyres. Formula hubs on each bike keeps the wheels rolling reliably. 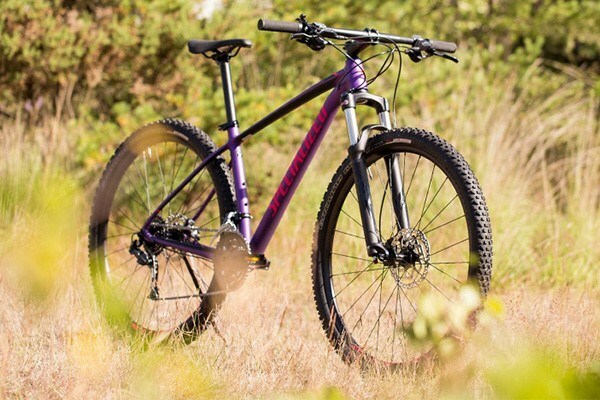 With its 3” rubber and dialled trail geometry, the Cannondale Cujo takes hardtail MTBs to the next level. The performance offered by the Cujo make it a viable alternative to a full suspension MTB, especially when you consider that an equivalent full sus will be significantly more expensive than the Cujo. If you are looking for an affordable mountain bike, for taking on more challenging trail centre loops, then the Cannondale Cujo is hard to beat.